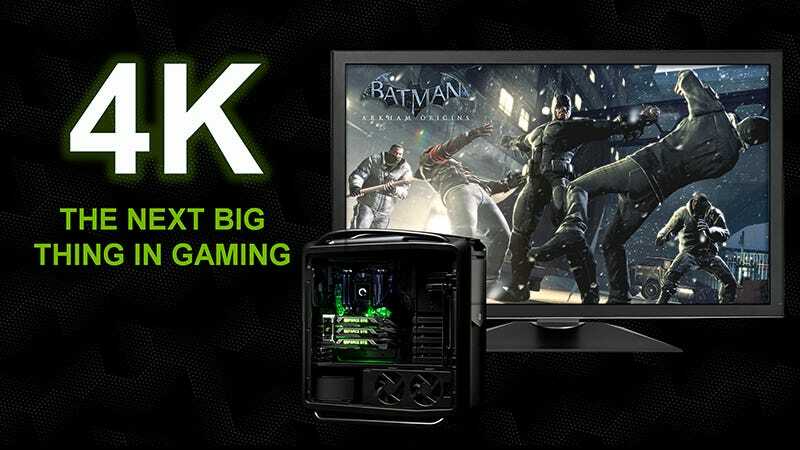 You want the very best in 4K gaming, so how do you go about getting it? Unfortunately the answer is not quite as simple as it should be, and all the available choices can be tremendously confusing. So let’s try to cut through all the marketing terms, hype, and numbers to get at what “4K” gaming really means. 4K, which in consumer terms means a resolution of 3,840 x 2,160 pixels (versus the 1920 x 1080 found in your 1080p TV set), has long been familiar for movies and TV shows and is now appearing as the default on most new gaming hardware. 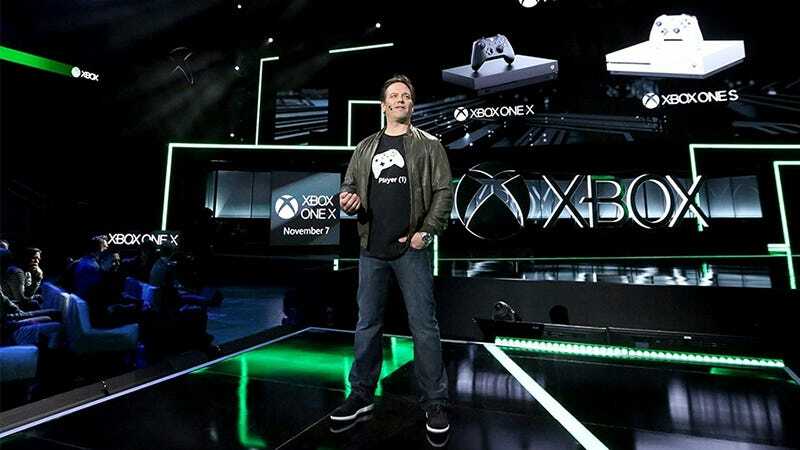 Nintendo ignored it with the Switch, but Microsoft’s brand new Xbox One X supports it, and the Xbox One S and PS4 Pro do as well...up to a point. 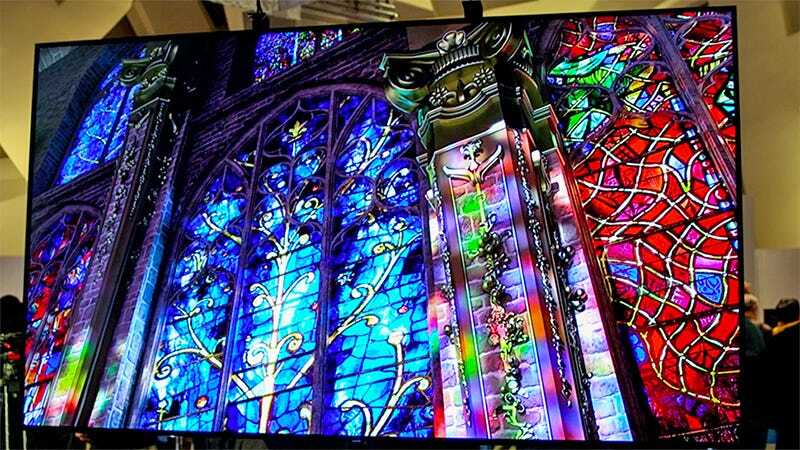 This is where things get complicated, because 4K is technically just the resolution something is played back at, but the term is used interchangeably with UHD, or Ultra High Definition, which is made up of that 4K resolution, plus High Dynamic Range (HDR), which provides better contrast to pick out more detail in an image, and a wider colour gamut, which provides a greater range of colour on screen (your TV displays just a fraction of the colours you see in real life). When a new console or TV claims it supports 4K playback you have to double and triple check to see if it means 4K or UHD or something in between, usually 4K and HDR, with none of the expanded colour gamut. If it just supports the higher resolution you’re not going to be getting the incredible gaming experience promised. Besides all that confusion (which we hope to resolve below) you’ve also got refresh rates: 4K at 30fps is not the same as 4K at 60fps, though both can claim to be “4K” in whatever promotional material you happen to be reading. Whether you’re buying a console or a TV, you need to read through the small print for as many of these specifications as you can find: resolution, HDR, colour gamut, and frame rate. Whether you’re talking about 4K, HDR, or UHD, for a truly native experience you need the content itself, the playback device, the display device, and even all the cable to support the same standards. Miss out on any of those fours elements and you get a fudged approximation of UHD instead, which is where a lot of the confusion comes in. 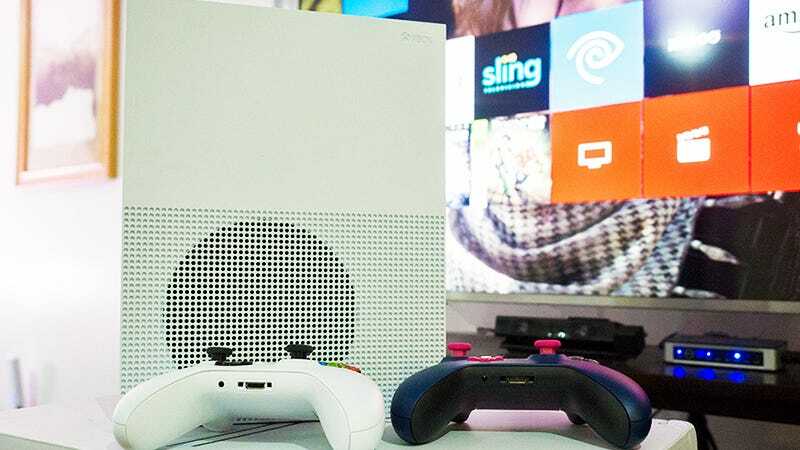 The Xbox One S was the first of the big consoles to get UHD support when it was unveiled last year, but that UHD support is only for streaming video (think Netflix) and discs played in the built-in Ultra HD Blu-ray player. All Xbox One games can get shown at a 4K resolution, but there’s some clever upscaling going on behind the scenes—an example of the approximations we talked about above. These aren’t 4K games getting shown at 4K resolution—they’re 1080p games getting blown up to 4K size, albeit with some very smart algorithms doing the work. Some games also see slight boosts in frame rate too, occasionally up to 60fps. By all accounts the 4K upscaling for games is impressive on the Xbox One S, which might give you pause if you’re thinking about dropping cash on the newer X model. Game developers aren’t given the option to add any extra code or assets for 4K upscaling on the Xbox One S, but they can add HDR support, because the Xbox One S has HDR capabilities too (HDR10 to be exact). While future games are all likely to have this included, from what we can tell right now the list of HDR-ready games, currently, isn’t a lengthy one. Though some of the big titles, like Gears of War 4, have been updated. If you’ve got a UHD TV then the Xbox One S does a fantastic job of getting your standard Xbox One games looking better on the big screen, particularly if those games have been patched with extra HDR goodness—although it’s worth repeating that this isn’t true 4K gaming. 4K Support: Yes for streaming and UHD Blu-Rays. No for games. They are upscaled only. HDR Support: Yes, for select games and streaming apps. UHD Support: Yes, Ultra HD Blu-Ray media. Like the Xbox One S, the Sony PS4 Pro comes with full support for showing 4K video from the likes of Netflix and Amazon, though you don’t have the integrated Ultra Blu-ray HD drive that you get with Microsoft’s box, which means you only get as much 4K and HDR content as each streaming service provides for the box. As for 4K gaming, yes the PS4 Pro is capable of rendering games natively at a full 4K resolution, but the game needs to be specifically built or updated for that. Different games use the extra power in different ways as regards resolution and frame rates, and developers don’t always reveal exactly what the maximum possible levels are. With games that aren’t updated, you’ll get upscaling again—Sony uses a technique it calls checkerboarding to generate more pixels than the game is actually pushing out. Eurogamer has a detailed test of native 4K games for the PS4 Pro, finding that not all the titles that claimed full-fat (60fps) 4K support could actually reach those dizzy pixel-pushing heights (it’s here that the extra horsepower in the Xbox One X should prove handy). You’ll notice HDR mentioned in that list as well—as with the Xbox One S, the PS4 Pro supports it, as long as the game (and your display) does. Again, HDR10 is the format of choice. Unlike the Xbox One S, developers for the PS4 Pro do have the option of tweaking their code to push out extra pixels natively, but few are reaching the heights of full 4K at the moment (IGN has another good rundown). That said, all your PlayStation games, updated or not, should look better on the newer hardware... just to varying degrees. 4K Support: Yes, for select games and streaming apps. Finally we get to the newest of the major consoles: The Xbox One X. Despite Microsoft’s focus on extra graphics power and true 4K gaming, the differences between this and Sony’s newest machine, as far as 4K goes, aren’t actually that exceptional, even though the Xbox One X has a lot more graphics power under the hood. Xbox One games will play across any Xbox One—original, S, and X—but at different levels of quality, with the highest quality found in the X. As on the Sony PS4 Pro, for true 4K rendering, games need to be built for it: Windows Central put together a list of games that are being updated for the Xbox One X. Also, as with the PS4 Pro, an update to a game doesn’t necessarily mean full 4K support (it might be to add a resolution just below 4K, or to add HDR processing). 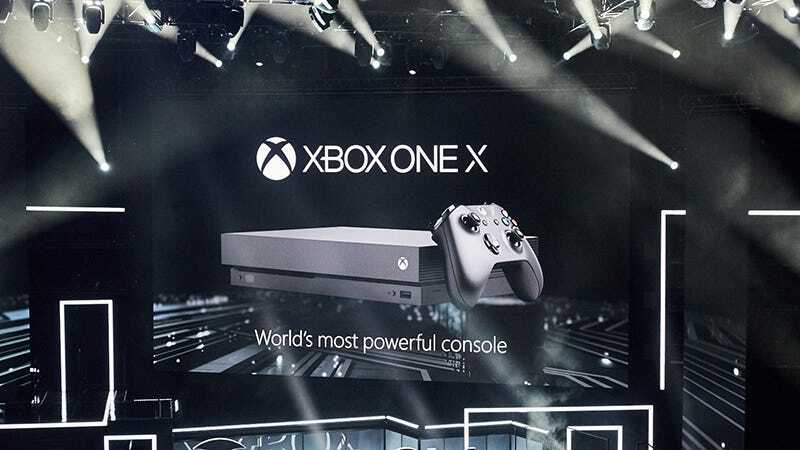 With the console not on sale until November, it’s more difficult to be definitive about which games will support 4K natively, but it’s safe to say that not every title running on Microsoft’s brand new console is going to be pushing out 3,840 x 2,160 pixels. As on the Xbox One S, you get support for HDR10, as well as 4K for your videos and Ultra HD Blu-ray discs (again, a player is integrated). 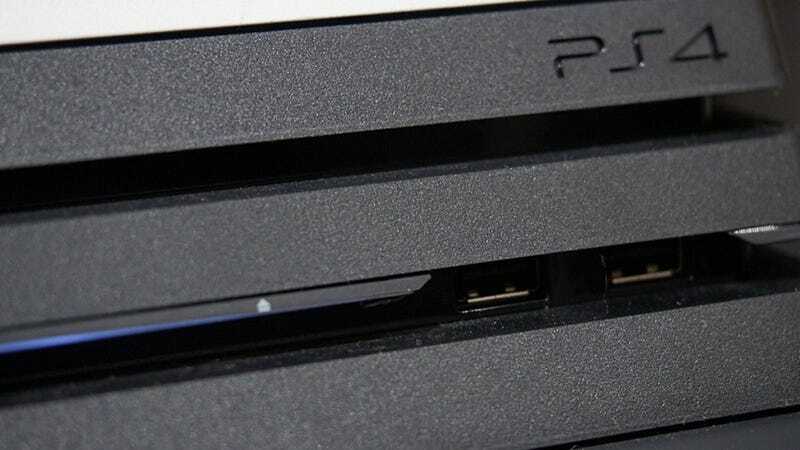 Despite the enthusiasm for 4K gaming from Sony and Microsoft execs, the truth is we’re only just taking our first faltering steps into the 4K gaming age as far as consoles go. It’s probably fair to say the Xbox One X will eventually run more titles at native 4K than the rather paltry selection now available on the PS4 Pro, but we won’t really know until November has come and gone. UHD Support: Yes, for Ultra HD Blu-Ray media. If you’re serious about your 4K gaming then a PC rig remains the best choice, if also the most expensive—just remember the 4K compatibility needs to cover your game, your computer, and your monitor for the full effect. 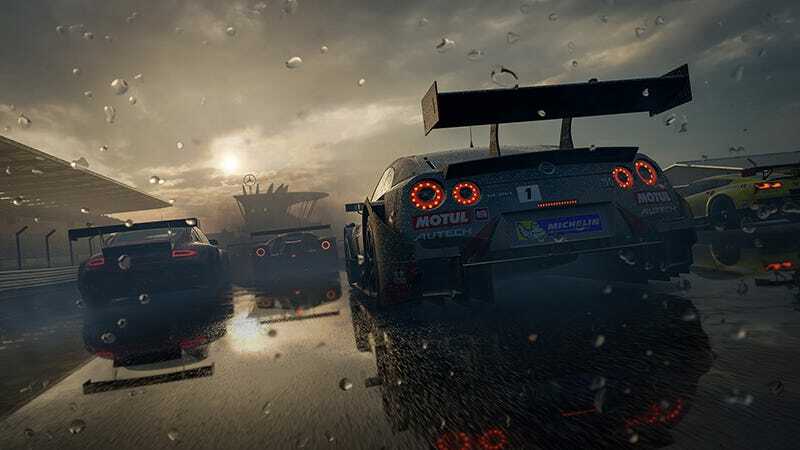 Most games can now stretch to 4K if you put enough graphics power behind them, so that’s one less part of the equation you need to worry about, though, to date, very few games support HDR or UHD. Delving properly into 4K gaming on the PC would require an article twice this size, but for full-fat 4K gaming experience, we’d recommend looking at something like the Nvidia GTX 1080 or AMD Radeon R9. Though cheaper cards can technically hit the 4K resolution around the lower 30fps frame rate mark. If money’s no object then you can really push the boat out to something like the Nvidia GeForce GTX 1080 TI, which can manage 11.2 teraflops compared with the 6 teraflops of the Xbox One X. A beefy power supply and a decent i5 or faster CPU is important as well. The Tech Buyer’s Guru has a detailed guide to building a 4K-ready (and very expensive) rig, while TechRadar breaks down the components you need to match or better the Xbox One X. Those of you not building or upgrading your own PC can browse through the high-end pre-built systems that promise 4K performance—though you should always check for mentions of maximum frame rates and refresh rates to make sure you really are getting the 4K performance you want. Elite Gaming Performance has a very good rundown of a few system options. Build yourself (or buy) a decent 4K setup with a GeForce GTX 1080 or better and you can also stream games to the final 4K gaming option we haven’t mentioned yet: The Nvidia Shield. The box is worth a footnote as it also supports native 4K video from the likes of Netflix and Google Play Movies & TV as well, as well as giving you access to a broad library of Android and GeForce Now games (albeit without that 4K resolution). Sadly not all HDMI cables are equal. While most will be able to support 4K resolution, you can lose all support for HDR and/or UHD by using the wrong cable. Between your game box and your display you need HDMI 2.0a cables or higher. Sony recommends looking for this badge. HDMI 1.4 or lower will not support HDR and UHD. You also can kiss HDR and UHD goodbye if you put any kind of HDMI box between your display and game machine. The PSVR box, most HDMI switches, and most HDMI game capture boxes do not support HDMI 2.0a passthrough, which means the HDR/UHD portion of the signal is lost. The last big link in your 4K chain is the display, and while you’re probably safe hooking up any TV or monitor with a “4K” badge on it, we do mean “probably”—you really should double-check refresh rates and input ports just to make sure. The newer the hardware the more likely it is to be fully UHD-capable, so just be wary if you’re using something that’s a few years old, forged from the time when the UHD standard was still getting established. Ideally you want a monitor or TV with a refresh rate (in Hz) equal to or greater than the frames-per-second being pumped out by your console. We’ve previously written extensively about choosing the right television for your set up, but as far as 4K goes, you want something offering a HDMI 2.0a or higher input (supporting 4K content at 60fps) or a DisplayPort connection. HDMI 1.4 can do a 4K resolution, but only at 30fps, and without the wonders of HDR. Speaking of HDR—as we’ve mentioned, consoles from both Sony and Microsoft opt for the HDR10 technology, so your display needs to have this feature rather (or as well as) any alternatives such as Dolby Vision. If you don’t have it, you’ll still get the 4K resolution, but some of the colour range and subtlety is going to be lost along the way. It’s still early days for HDR on monitors, with the first few options only just now appearing, but if you are taking the PC gaming or Xbox One X route you can look out for extra features like G-Sync and and FreeSync to improve the smoothness of your graphics. Microsoft has published the exact specifications your screen needs for the Xbox One S, and the Xbox One X story should be similar, though we don’t have full details yet. Sony is less exacting about the setup you need for its PS4 Pro, mentioning only 4K resolution and a 60Hz refresh rate. With all that said, where should your money be going for a 4K system? It depends a lot on what you’ve already got and the games you’re interested in, as well as the actual graphics capabilities of each of these consoles. Making the comparison even harder is the fact that the Xbox One X doesn’t go on sale for another five months. Based on 4K performance alone and ignoring everything else, the Xbox One X wins—it’s got much more graphics power under the hood and gives developers a better chance of hitting 4K at 60fps. So much depends on those developers though, for both the Xbox One X and the Sony PS4 Pro, and the quality of the 4K you see in terms of frame rates and HDR is going to vary from title to title, unfortunately. That £100 premium you’re going to pay for Microsoft’s box versus Sony’s latest console is tough to swallow—but given enough time and developer support, it might eventually end up being worth it. Right now it’s tricky to say, and the debate is likely to run and run between now and November. Compared with 4K gaming on PC, the Xbox One X is a less powerful but cheaper and more convenient option. Again though, there’s the games issue: You’re going to find a better choice of titles with better optimisations for higher resolutions and frame rates if you take the Windows and Steam approach.